 Community associations love Trex fencing. 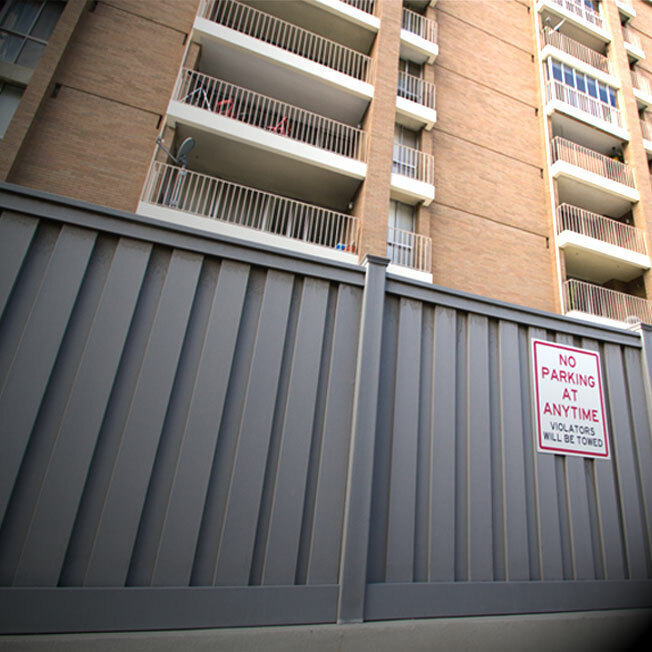 After experiencing years of maintenance, dilapidated panels, and rotting posts, association boards and property managers look beyond wood for a more permanent, low-maintenance solution. 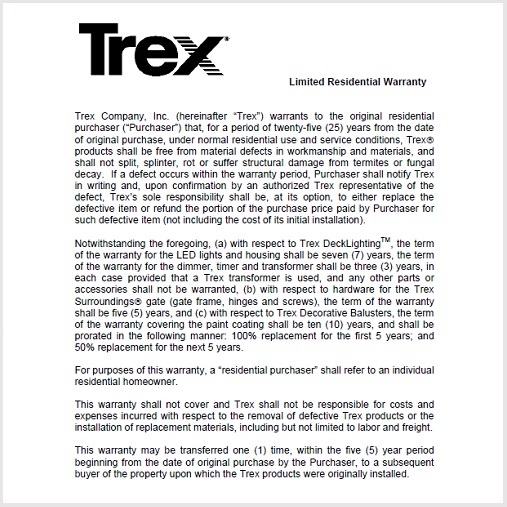 Trex typically fits the bill. 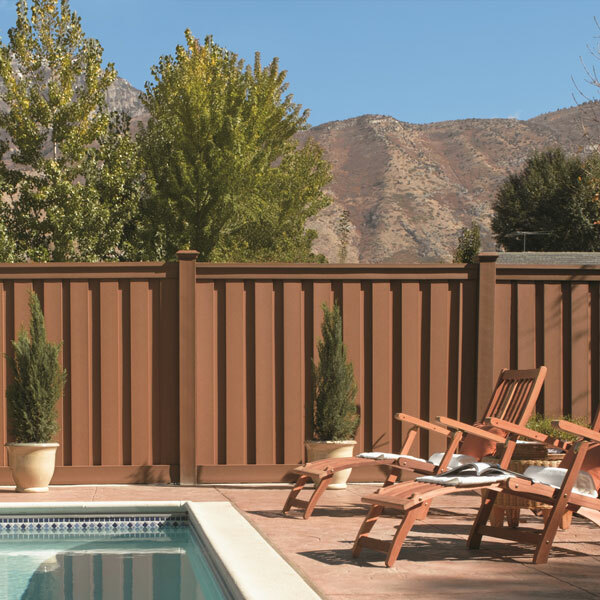 With its fully private, neighbor-friendly design, the bonus is that an association gets an attractive alternative to the common traditional design of wood fences. 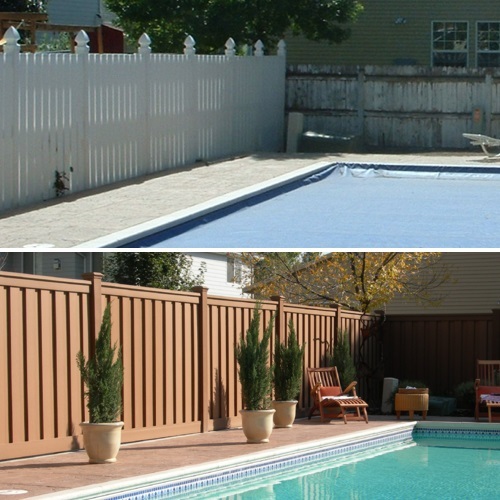 Because a fence replacement can be a large expenditure, many associations need to build up reserves prior to the purchase. If you are in the process of doing a reserve study or just need basic budgetary information, we can give you some guidelines. 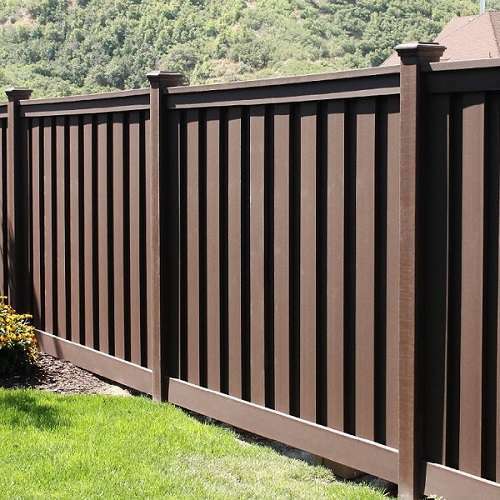 One of the biggest benefits of a Trex fence is that you front load costs which means you can virtually eliminate ongoing maintenance budgets for more than two decades. Your homeowners and other community property owners will be pleased with that! 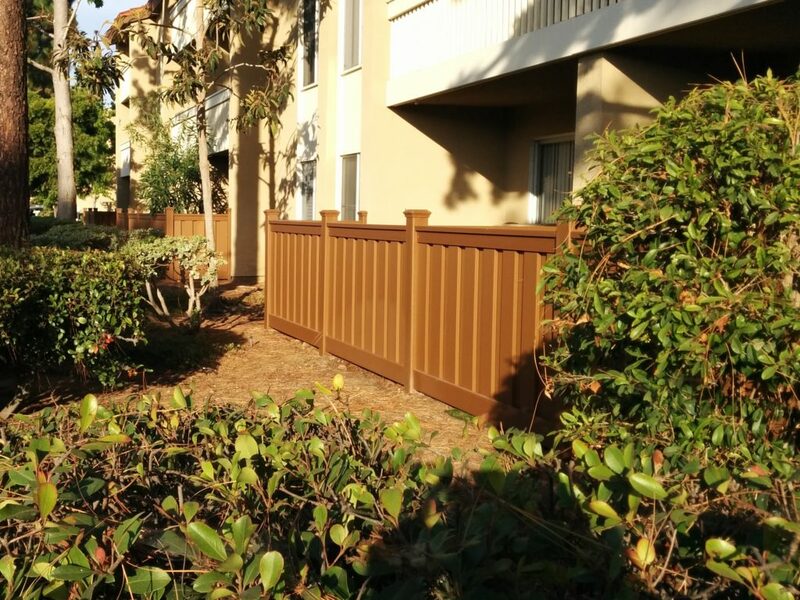 This project spotlight focuses on a condominium association in the San Diego, California area. 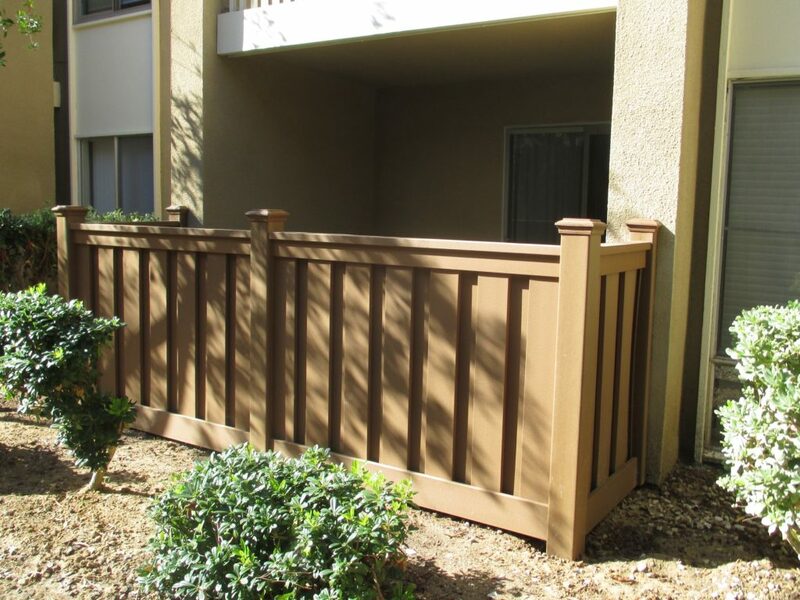 Trex fencing was installed over the last two years in two phases comprising several ground level units that needed to replace wood fencing around their patios. 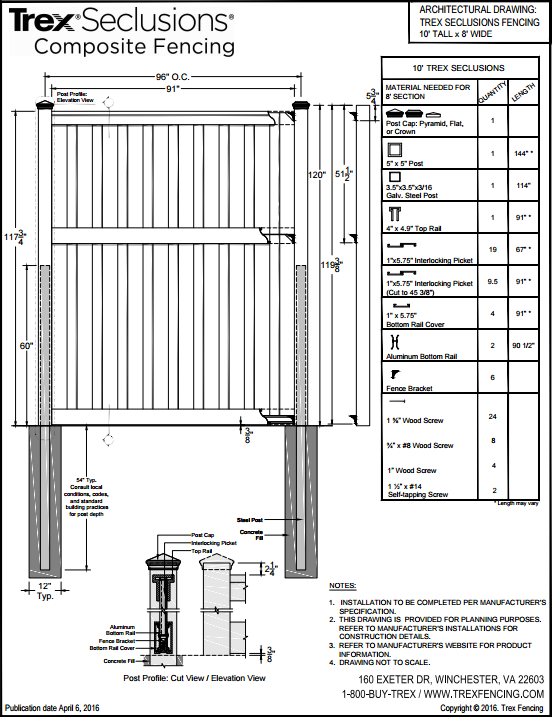 The layout required a fence height of 48″ with short returns to the exterior walls. To create a snug, attractive fit, the posts and caps next to the walls were cut in half and attached directly to the wall. 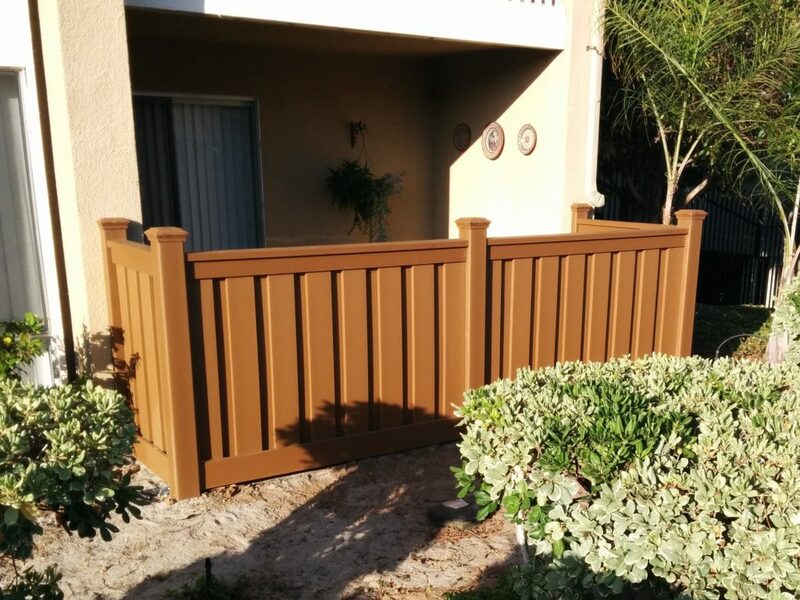 The HOA chose the Saddle color with flat top post caps. 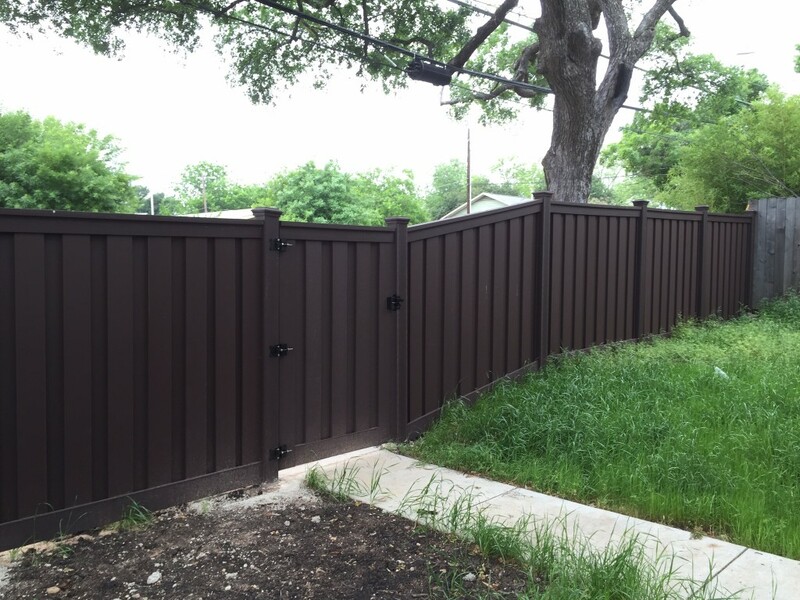 Austin recently enjoyed the installation of two Trex Fencing projects. This fence is part of an ongoing construction project for a new housing development in Austin’s Colony area of Austin, TX. 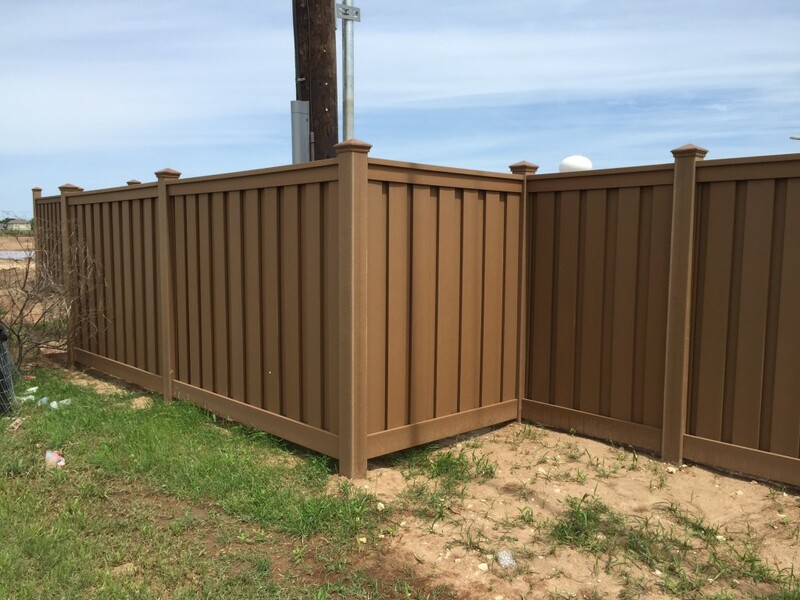 The client selected Trex fence in the Saddle color for the perimeter of the neighborhood because of it’s long-lasting and low-maintenance appeal. 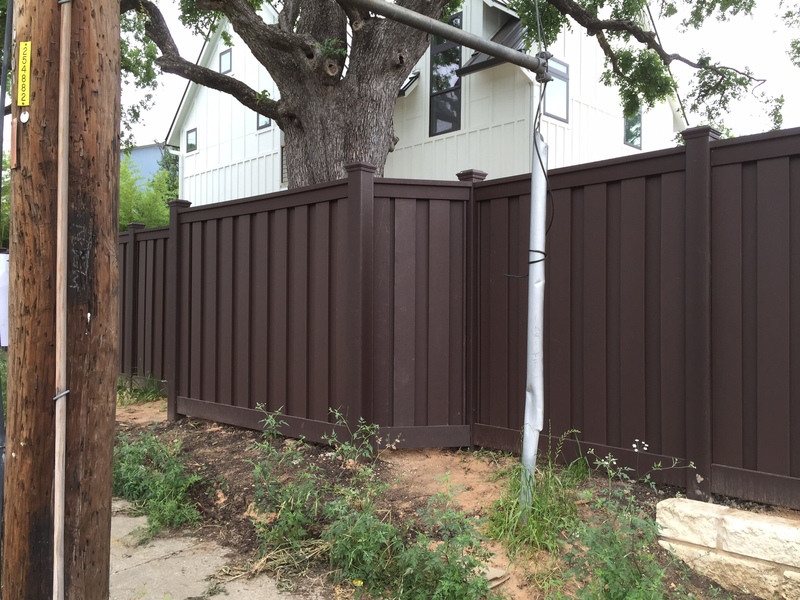 One issue confronting construction in East Austin is how soft the ground is. 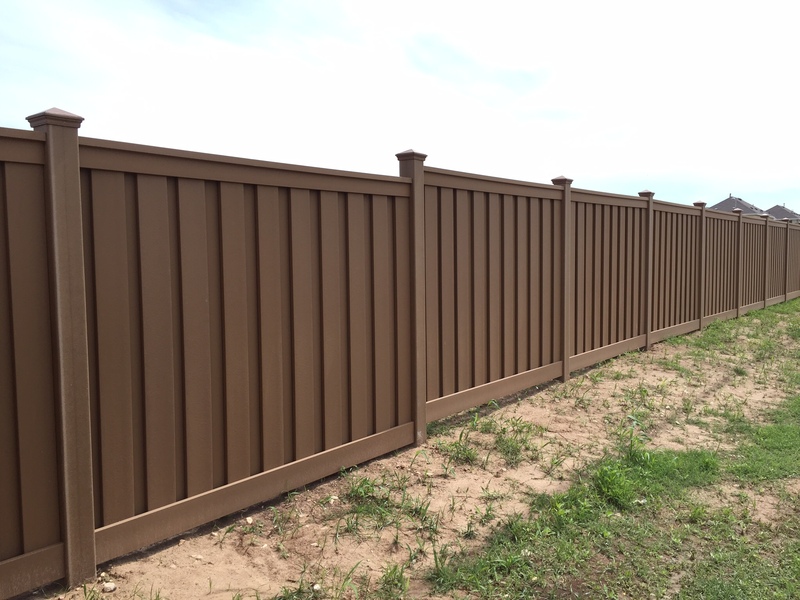 The extra length of Trex’s twelve-foot posts was used to allow the contractor to dig deep to make sure the fence won’t lean as the years pass. 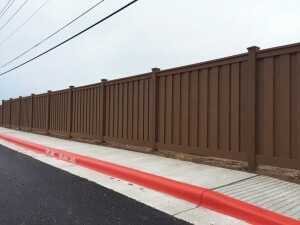 Trex was installed as perimeter fencing for the community along Hunter’s Bend Road. 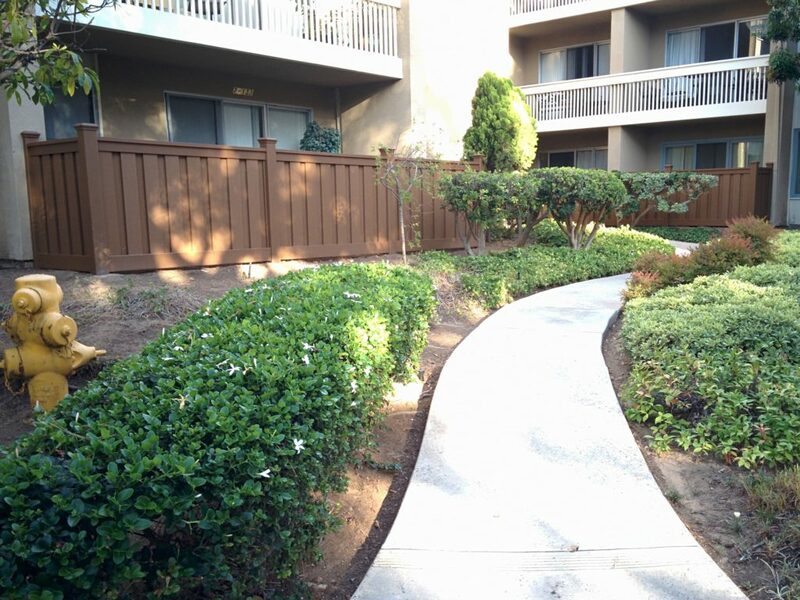 It offers the residents full privacy and an attractive border around the homes in the area. 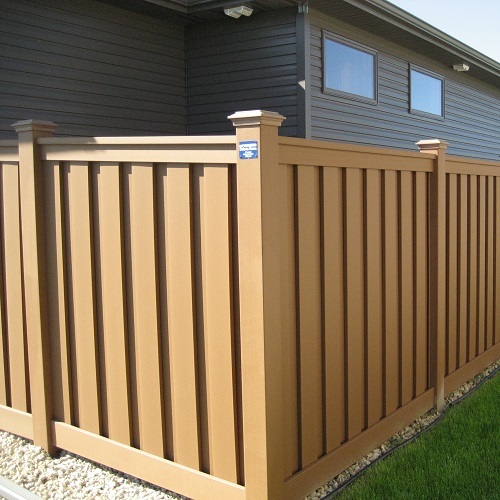 In this particular phase, the contractor installed more than 200 ft. of fence with more to come as new homes are added. 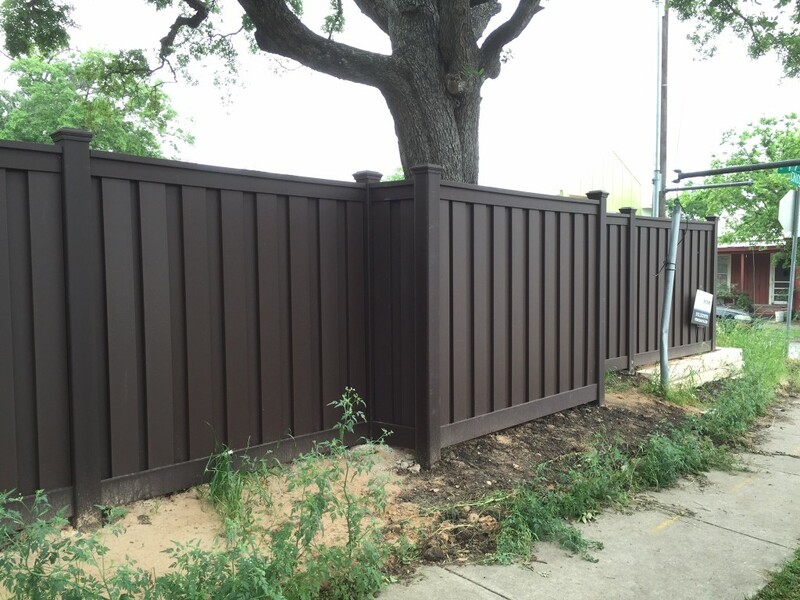 This fence was installed in the East Austin area. 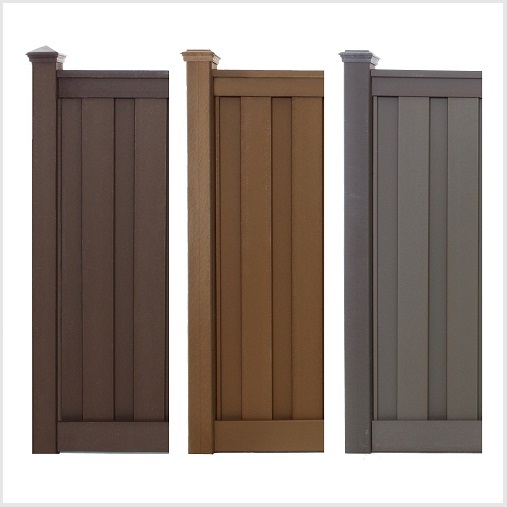 The client selected Woodland Brown because the rich color matched the house’s trim almost exactly. 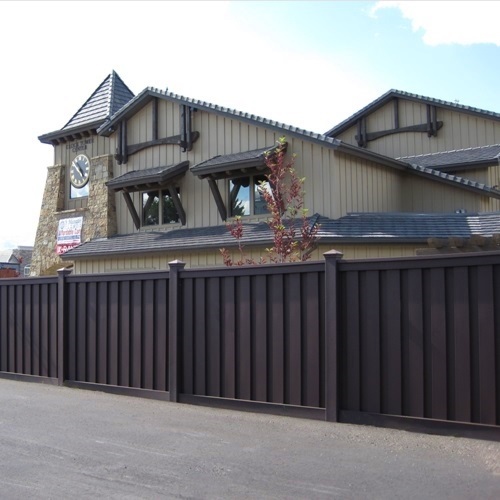 The project entailed approximately 200 feet with a double gate on which the fence company added automation, and a walk-through gate. 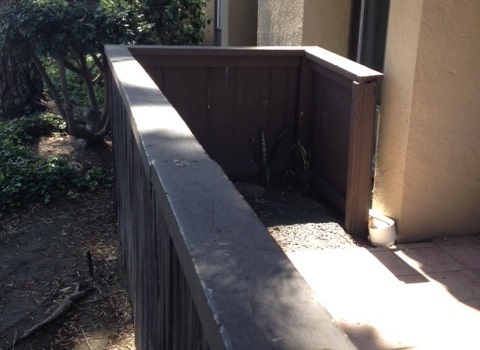 As shown in the picture, the contractor had a small challenge of boxing out around a tree that the client wished to protect inside of their yard. The end result was a clean jog in the line that actually added to the distinct beauty of the fence without disturbing the tree. 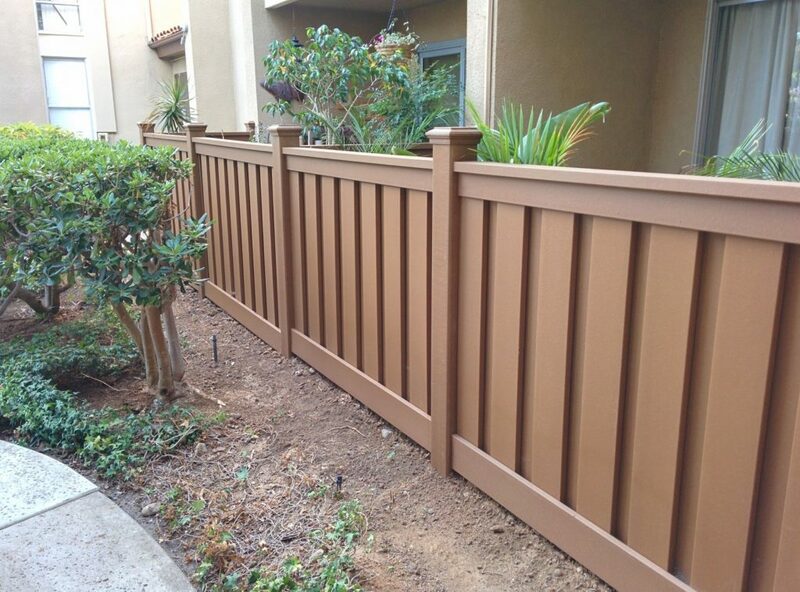 Trex easily adapts to grade changes like the slope next to the walk-through gate. Because it is a “stick-built” fence, rather than a fixed width & height panel, each fence can be tailored to follow the contours of the property and adjust for dimensions of each section. 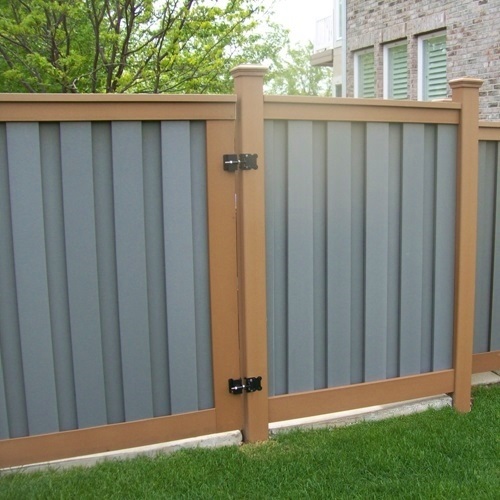 The end result is a fully private fence that doesn’t leave an unseemly gap under the bottom rail as the ground changes slope.